May | 2014 | POMS AWAY! New Zealand is a very outdoorsy nation. Bush walks are a big thing. The Department of Conservation maintains nine ‘Great Walks’ around the country, but they all take a few days to do. I like walks I can do in less than a day. Happily, New Zealand has more of those than you can count. As I live in the North Island of New Zealand, I’m more familiar with the North Island’s range of day walks. I haven’t mentioned any South Island tracks for that reason, but from what I have seen of the South Island, the walks down there are even more beautiful than the walks up here. This is a list of my top ten North Island day walks. 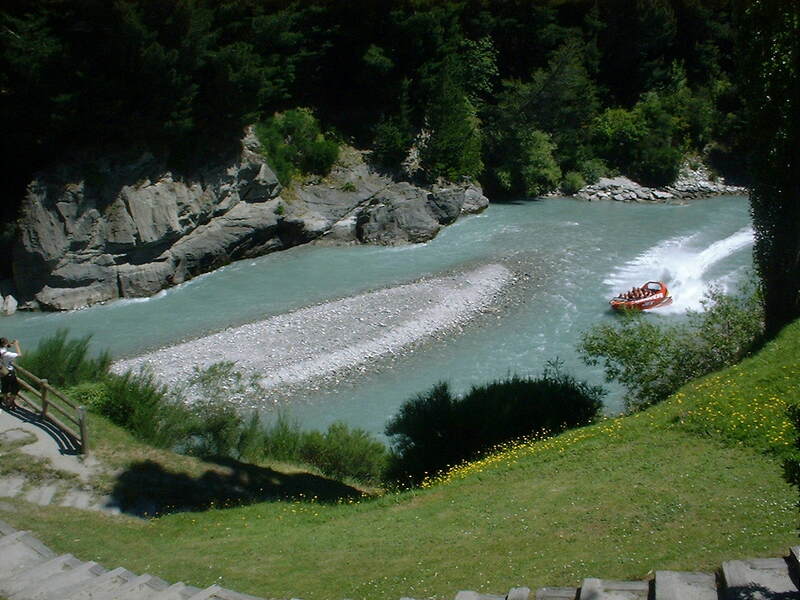 I’ve posted about Karangahake Gorge on this blog before. It really is my favourite place to go walking. An hour and a half southeast of Auckland, its spectacular walls tower over you as the Ohinemuri River alternately rushes and meanders below. 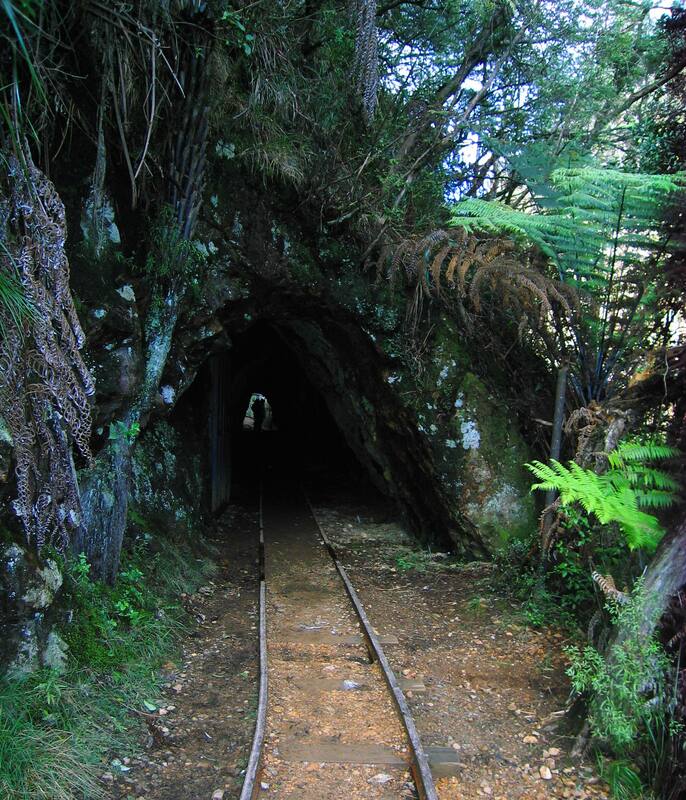 There’s a variety of intersecting walks, both short and long, leading you not only through bush, but abandoned mines and railway tunnels. It’s historically interesting as well as breathtakingly beautiful, and there’s a gorgeous swimming hole to picnic at. 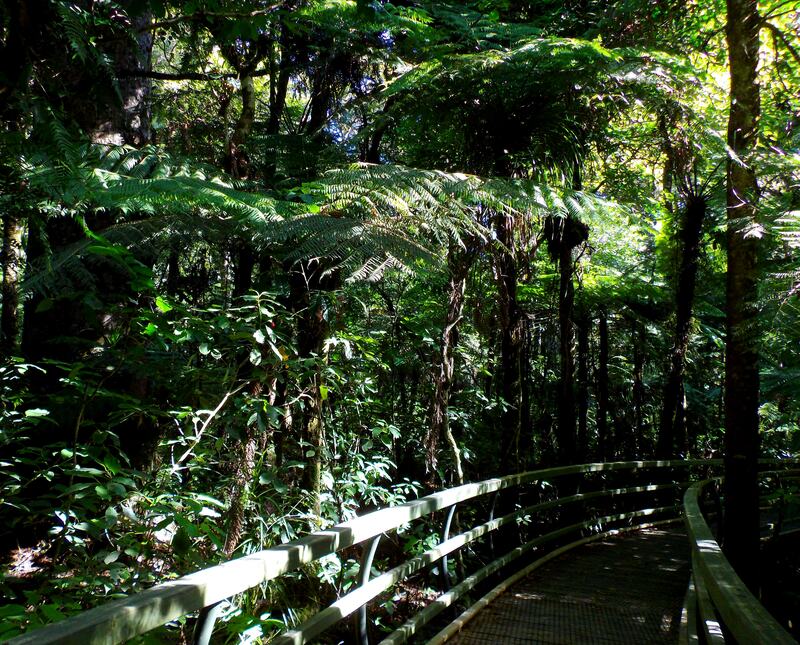 There’s a whole heap of walks to do in ‘the Waitaks’ – a bushy, hilly wilderness right next to Auckland City. If you want classic New Zealand rainforest, this is it, plus it’s really easy to get to. 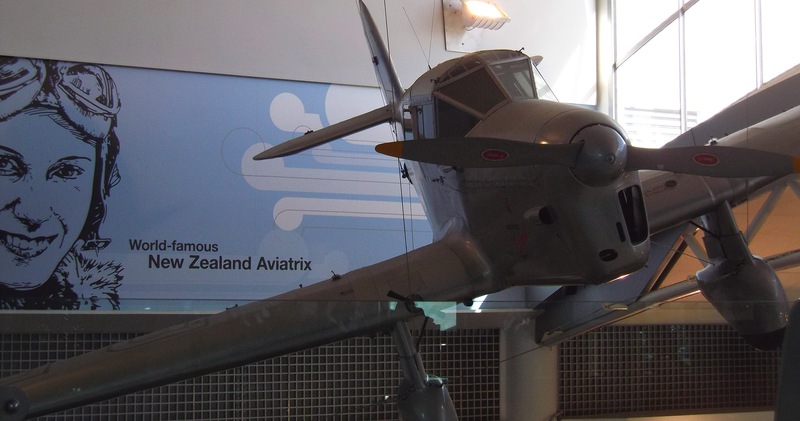 A great place to start is the Arataki Visitor Centre, especially if you’re new to New Zealand. I learned a lot there as a recently emigrated kid. 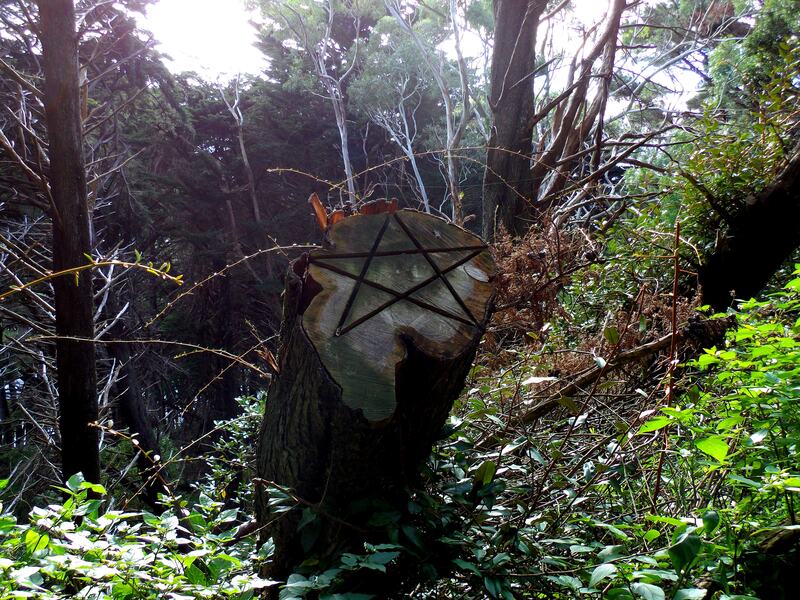 There are also some good walks from the Cascade Kauri park. The Waitakere Dam is a must-see if you’re in the area, but the Waitakere Dam Walk is too short and easy, even for a wuss like me. I’d go to the dam and start another walk from there. 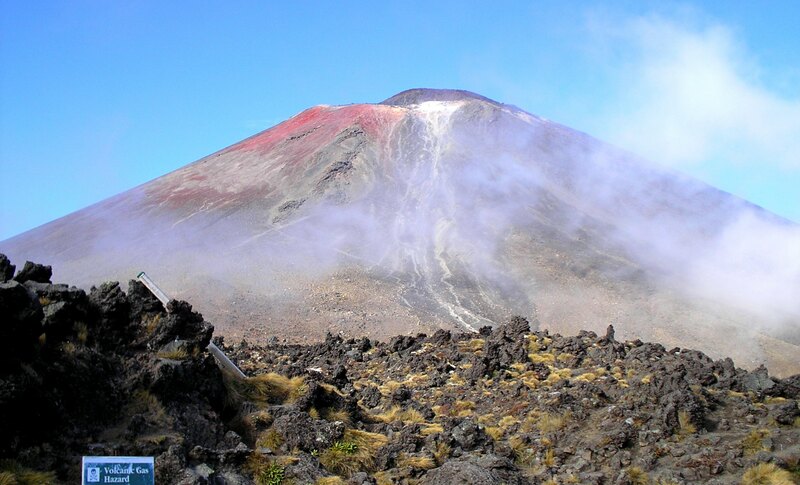 The Tongariro Alpine Crossing is the most demanding day walk on this list, but still doable for wusses for like me. It’s something you should seriously consider doing if you visit New Zealand. It takes about seven hours, but it’s seven hours across a truly remarkable landscape. You might recognise parts of it as Mordor from The Lord of the Rings films – it’s so cool walking through an active volcanic zone! Mount Ngauruhoe looks amazing from the track. Then there’s the stunning Emerald Lakes… It might be a little strenuous at times, but you don’t need top-grade hiking boots – sturdy trainers will do. I know a guy who did it in jandals, but he’s a Kiwi. They’re like that. I visited the Puketi Forest when I was in Kerikeri and, honestly, it was the most beautiful patch of bush I’ve ever encountered. Northland is famous for its magnificent kauri specimens, and the ones in the Puketi Forest are certainly magnificent. 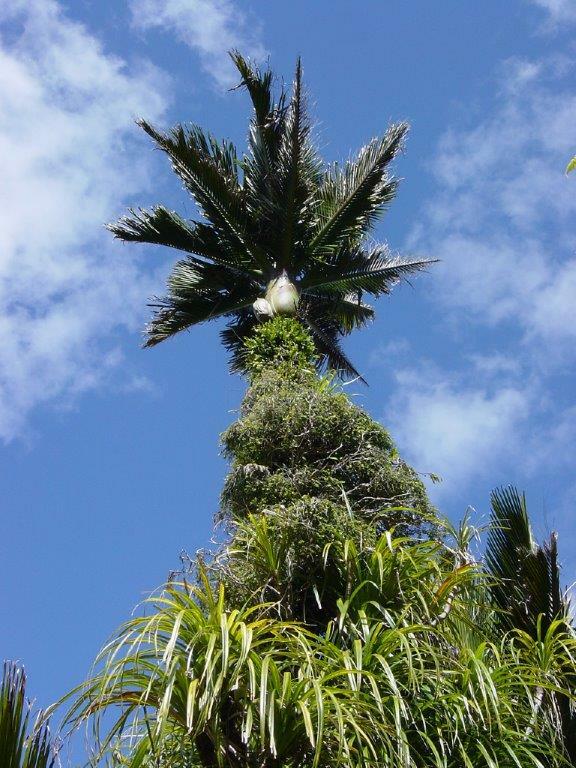 Kauri trees can grow to over fifty metres tall and five metres wide! There are walks of varying length in the area, including a twenty-minute boardwalk that is not only fantastic for people in wheelchairs – it’s elevated above the undergrowth and, as such, gives you a whole different perspective of the forest. It’s magical. You know the bit in The Return of the King when Aragorn, Legolas and Gimli go to find the Army of the Dead? Well the Dimholt Road was filmed at the Putangirua Pinnacles in Wairarapa. (‘The Putangirua Pinnacles’ is often shortened to ‘the Pinnacles’ – don’t confuse it with ‘the Pinnacles’ in the Coromandel like I did.) The track’s a little rough, so definitely don’t try this one in jandals, but it only takes about two hours and it’s worth it for the scenery. It’s quite alien; a most impressive example of badlands erosion. 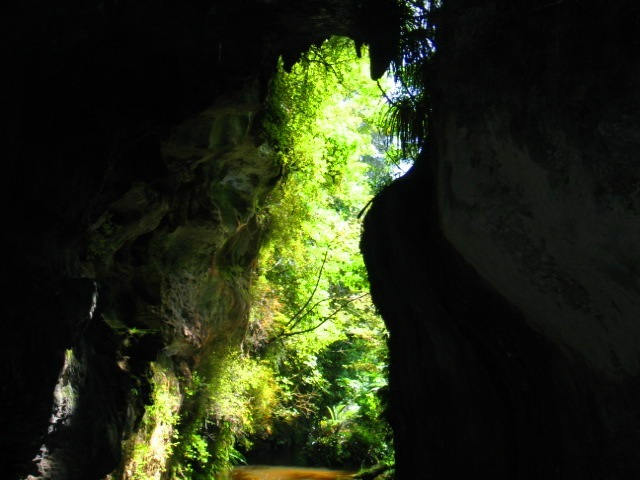 Waitomo is known for its spellbinding collection of caves rather than its walks, but, as my family found when we visited Waitomo on a New Zealand campervan holiday, the walks are pretty good too. I’ve raved about the Waitomo Caves on this blog in the past, but I didn’t talk about the awesome rock formations on the surface, the ones we found at the end of the Waitomo Walkway. It goes from Waitomo Village to the Ruakuri Scenic Reserve, following a stream. I really enjoyed it. There were archways of stone to walk under, boulders to scramble on, an enchanting bridge surrounded by trees and great picnic spots. It was decent length walk too. The Waitomo Walkway – it’s like you’re Alice walking through a keyhole into Wonderland! 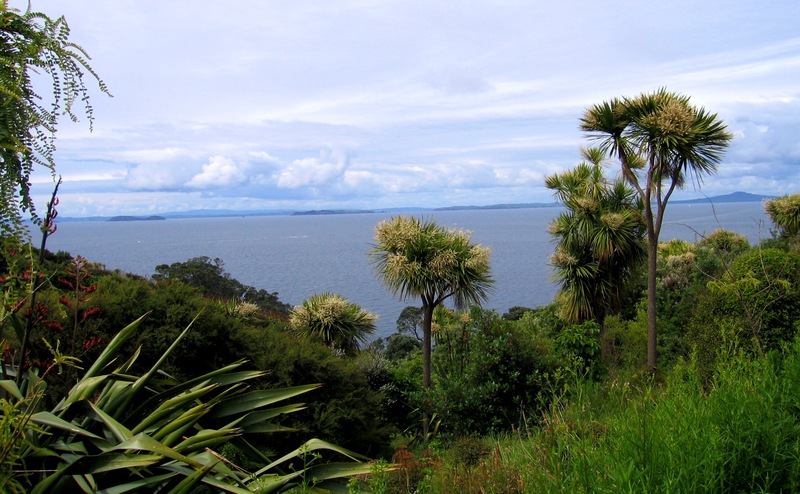 Tiritiri Matangi is an island off the coast of Auckland that’s a sanctuary for native birds. The ferry to get there is quite expensive, but it’s well worth going. Not only do you get to see lots of endangered birds, the island itself is really nice to walk around. The views are fantastic. You don’t need to take the guided tour – you can spend the day exploring the various paths on your own. There’s an old lighthouse to discover, and when you’re done walking you can swim in the sea. I’ve written about the beauty of Cathedral Cove elsewhere on this blog – I think it’s New Zealand’s best beach. To get there, though, you either have to take a boat or do a steep three-quarters-of-an-hour walk (from the Cathedral Cove car park. It’s about half an hour more from Hahei, which you might end up doing, as the Cathedral Cove car park is often full.) I definitely recommend a water bottle on this walk – I hadn’t realised it would be such a strenuous walk to get to the beach and I was gasping! 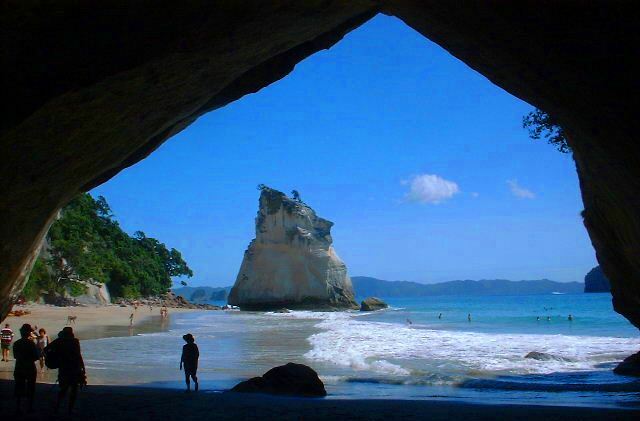 The sheer majesty of Cathedral Cove, though, is more than worth the walk. If you ever go to Wellington, you have to climb Mount Victoria. It’s not difficult, but it is nicely bracing. The view from the top is a treat. It’s easy to get to, as it’s right in the city, and there’s a good two-and-a-half-hour loop walk. It’s refreshing to walk through a pine forest in New Zealand, as opposed to the usual native bush. As an added bonus, the Mount Victoria forest is where Peter Jackson filmed the hobbits hiding from the Black Rider in The Fellowship of the Ring. Rangitoto is Auckland’s most iconic volcano. It forms an island in the Hauraki Gulf, so, naturally, you have to catch a ferry there. The walk to the summit passes through bush and over open lava fields. The crater is quite something to see, as are the views back to Auckland City, and there are lava caves to explore, which is quite fun. There are lots of different routes to choose from. You can easily spend a day meandering over the island, but don’t miss the ferry back! Also, don’t forget to take a hat, as the lava fields are exposed and hot. I just got back from Wellington, the capitol city of New Zealand. I was really excited to go. I had been once before, but years ago, with my parents. All I remembered from that trip was getting my skirt blown up above my head in public. Wellington’s notorious for being ridiculously windy. This time, however, there was hardly any wind at all. The weather was perfect – warm and sunny even though winter’s nearly here. I spent the weekend wandering around the city centre with my boyfriend and I loved it. We’d been planning the trip for a while. We live in Auckland, but a friend of ours recently moved to Wellington to do a law degree and we wanted to visit him. We were originally going to take a campervan down, but time simply wasn’t on our side so we ended up flying. It takes about nine hours to drive from Auckland to Wellington. 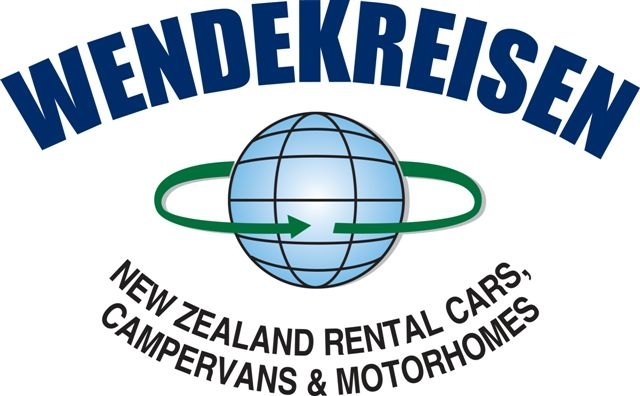 If you do hire a campervan in Auckland, don’t try to do it all in one day. Good stops along the way are Hamilton and Taupo. My family spent the night in Taupo when we drove down to Wellington that time. Actually, it might have been two nights. We did a jet boat ride on Lake Taupo. That was fun. So my boyfriend and I got to Wellington on Saturday morning. As our plane came in to land, we saw a few ferries crossing Cook Strait. It was cool being able to see both the North and South Island at once. 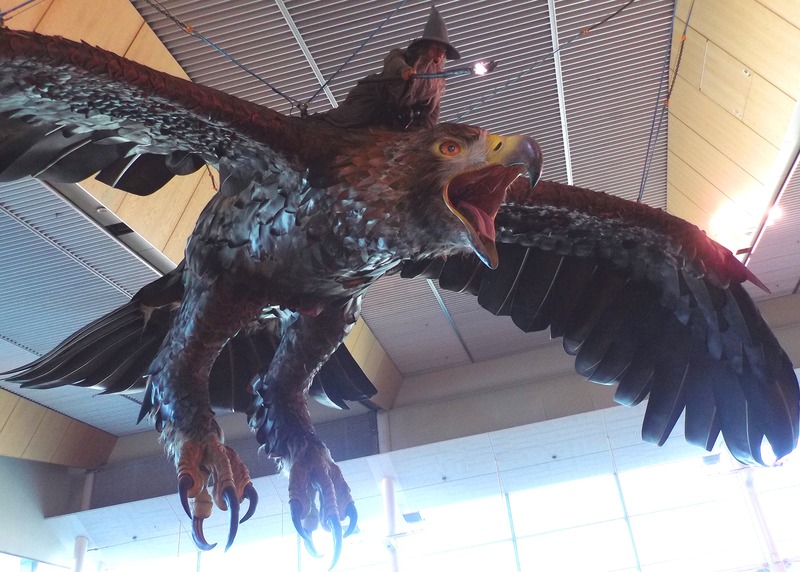 Our friend met us at the airport, which, I was delighted to discover, had a giant Lord of the Rings eagle hanging from the ceiling with Gandalf riding upon its back. There was also an enormous model of Sméagol looming over the food court. In case you hadn’t noticed, New Zealand takes The Lord of the Rings very seriously, and Wellington is right at the epicentre of the hobbit mania. 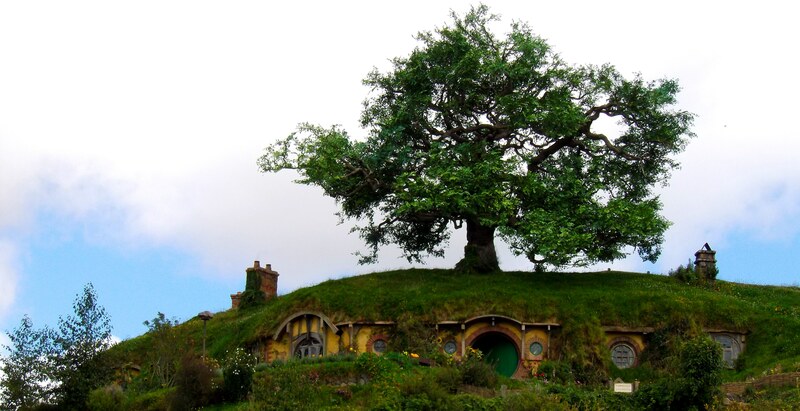 The city rebranded itself ‘the middle of Middle-earth’ – it is, after all, in the middle of New Zealand as well as being spiritually the centre of the whole Lord of the Rings franchise. Wellington is the cradle of the genius that is Peter Jackson. It is the home of Weta Workshop, which we didn’t visit, and the forest in which the hobbits hide from the Black Rider at the beginning of The Fellowship of the Ring. We did go there. But first we went to Cuba Street. It’s famous for being Wellington’s premier shopping street, but I have to say that I wasn’t that impressed. There were a few mildly interesting shops and cafes and a few mildly interesting artworks, but if it weren’t for the surprising number of second-hand bookshops I would have been quite bored. The harbour front was different story. 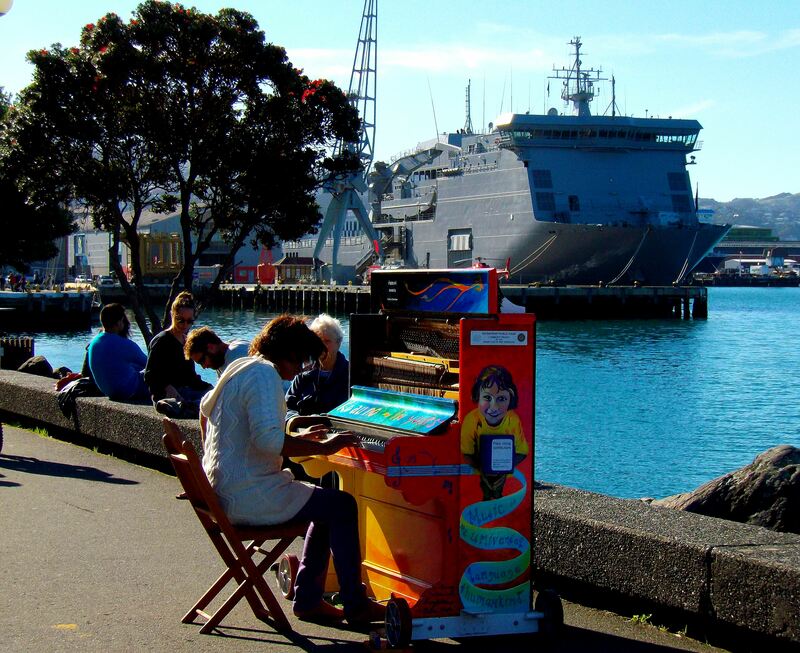 Wellington has the prettiest and most interesting harbour front in New Zealand. Lively with both locals and tourists, it has stunning sculptures and gorgeous views; random pieces of poetry and a fantastic bridge that’s a work of art in itself. As we made our way along, watching the people kayaking on the sapphire water, we found a colourful piano and a wonderful underground market. It was here that my boyfriend had the best crepe of his life. After this, we made our way to the government district. Our law student friend showed us Government Buildings, built in 1876 out of wood and made to look like stone, because stone was deemed too expensive. (It ended up being really expensive anyway, much to the government’s embarrassment. The building was opened without fanfare.) Until recently, it was the largest wooden building in the world. The funny thing is a smaller building was constructed in its shadow, this one actually built out of stone, but they wanted it to match the original building – so it’s stone made to look like wood made to look like stone! 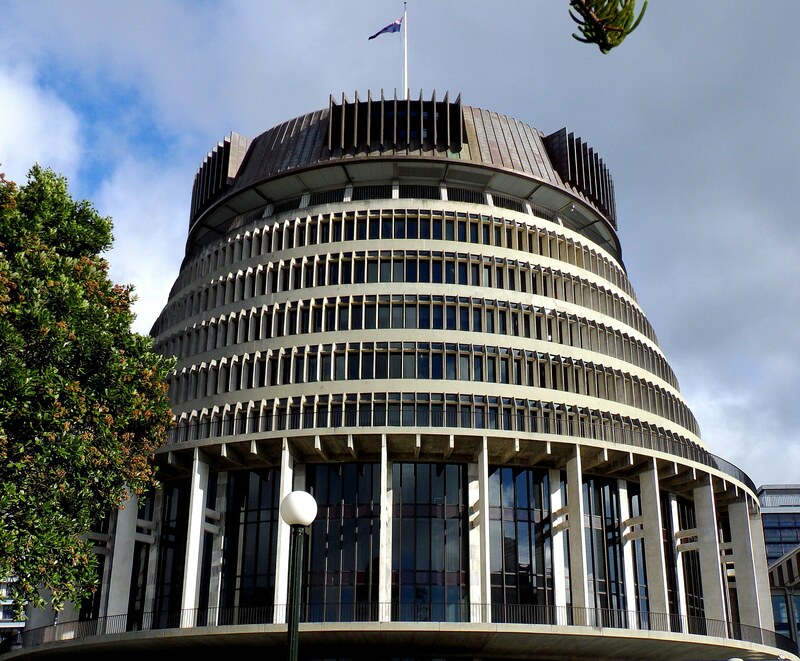 The next day we visited the Beehive, the architecturally controversial Executive Wing of New Zealand’s Parliament Buildings. From it, you can take a free tour of the Parliament Buildings. I’m not too interested in politics, but the tour was enjoyable. It’s strange to see such opulence in New Zealand: the marble, the gilding, the furniture, the artefacts, the stained-glass windows… There was even an exquisite sculpture of the hobbits hiding from the Black Rider. Yes, The Lord of the Rings is THAT important. And staying with The Lord of the Rings, the next thing we did was climb Mount Victoria. The thing about Wellington is it’s all hilly – and big hills at that. The only flat part is the city centre, and it’s only flat because it’s built on reclaimed land. 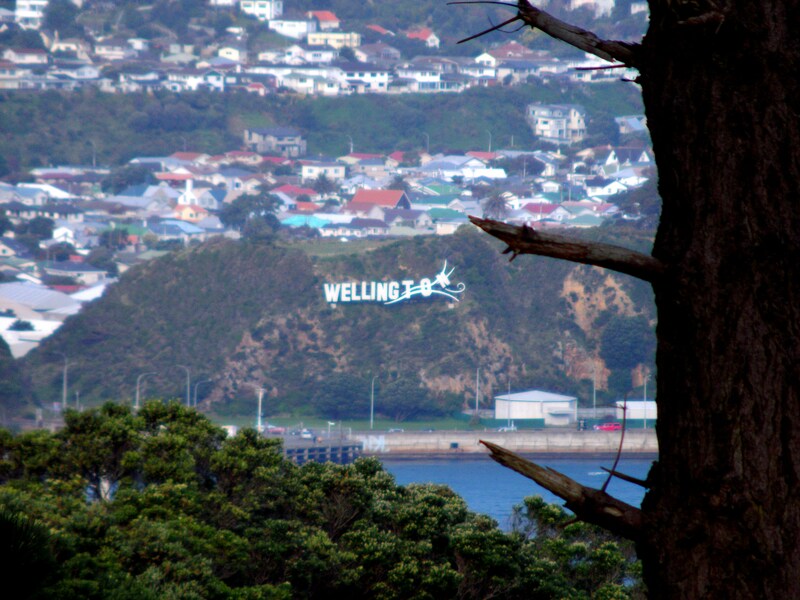 While this does make Wellington a very pretty city – every time you look up you see you’re surrounded by green hills, the houses merely white patches amongst verdant bush – it’s incredibly tiring to walk around. Also, due to the higgledy-windy-uppy-downy nature of the roads, buses take a lot longer than you think they should. By the time we got to the foot of Mount Victoria, we were already exhausted! It was a really good walk up it, though. 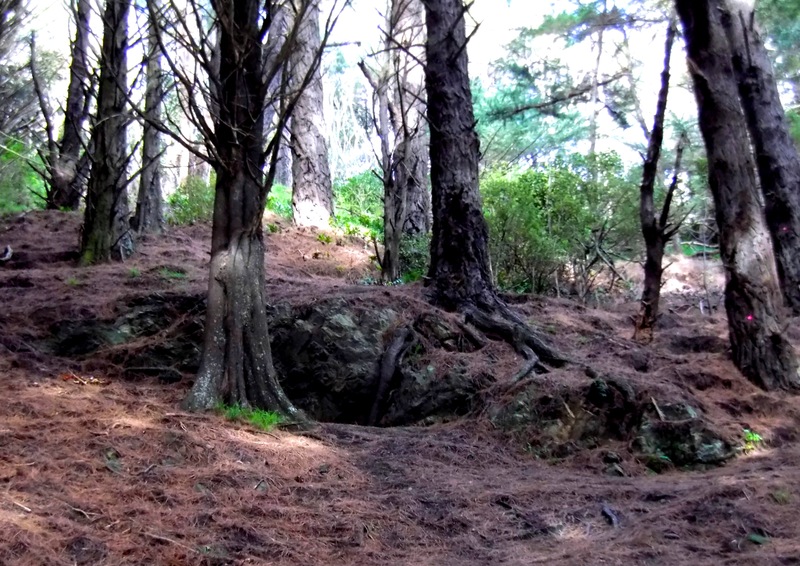 The forest that covers Mount Victoria is made up of pines rather than New Zealand natives. Probably why Peter Jackson chose it. We met an old lady with a pair of hiking poles coming the other way, and she told us how grateful she was to have such a good walk right by her house. It must be really easy to keep fit in Wellington. There were a lot of mountain bikers around as well, although I’d never dare to bike on such terrain. The place where the hobbits hid from the Black Rider is barely worth taking a photograph of. The tree in the film is fake, so all that’s there is a depression in the slope just below the path, blanketed by brown pine needles. Above the path, however, there’s a rocky outcrop that looks more like it. In fact I remember getting a picture crouching there as a kid, pretending to be scared. I’m sure I shouted, “Get off the road!” at some point too. 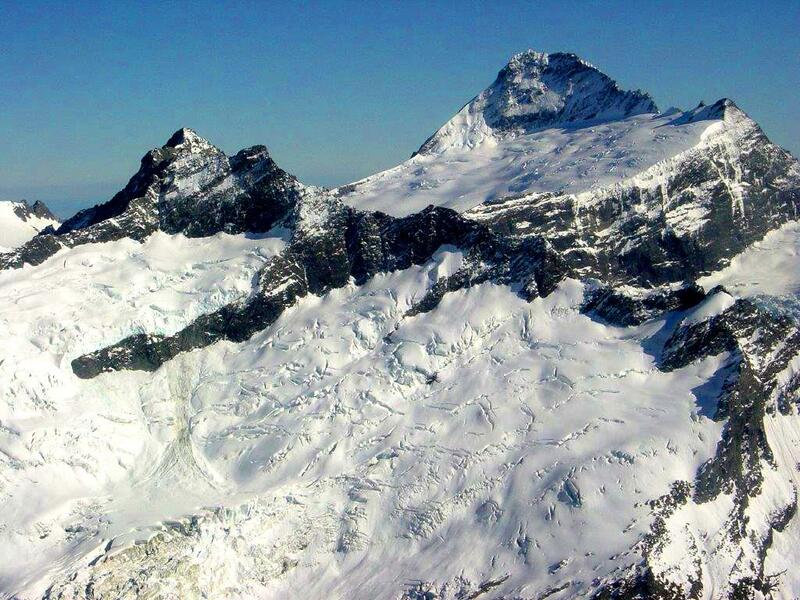 The real treat of Mount Victoria is the view from the summit. You can see all of the city, the harbour, the surrounding hill, Cook Strait and, if you squint hard through the haze, the South Island. It was just beautiful. If you only do one thing in Wellington, climb Mount Victoria. It’s not too difficult and doesn’t take that long. From the top of Mount Victoria, we walked down to Te Papa, renowned as New Zealand’s best museum. Although there weren’t any outstanding exhibitions on this time, there was certainly plenty to look at. The museum has a wonderful look to it, both futuristic and traditional. The displays are a treat for the eyes. One particular exhibition struck a chord with me: the history of New Zealand immigration. I must say, I’m very glad it only took my family twenty-four hours on a plane to reach New Zealand, as opposed to six months on a cramped, pestilential ship with a significant chance that not all of us would survive the journey. We stayed at Te Papa until closing time. By then we were definitely in need of dinner, and our friend knew exactly where to take us: Inferno. He’d been raving about it all weekend. Newly opened on Courtenay Place, Inferno is an American-style chilli bar. The food is cheap and absolutely delicious. As well as the traditional chilli con carne, you can get a lamb and chocolate chilli and even a pork and spinach chilli. There are five levels of hotness: Mild, Medium, Hot, Extra Hot and Inferno. I was a wuss. I went for Extra Hot. Ooh, it was lovely. I think I could have had the Inferno, as long as I was careful not to get any on my lips. I got some of the Extra Hot on my lips and ended up having to wet them every few seconds to sooth the burning! Rather fittingly, Inferno is just a few doors away from what our friend described as the best place to get gelato he’d ever been to. All weekend, we’d been promised the best ice-cream – sorry, gelato – of our lives, so, needless to say, our expectations were pretty high. The place was Kaffee Eis. 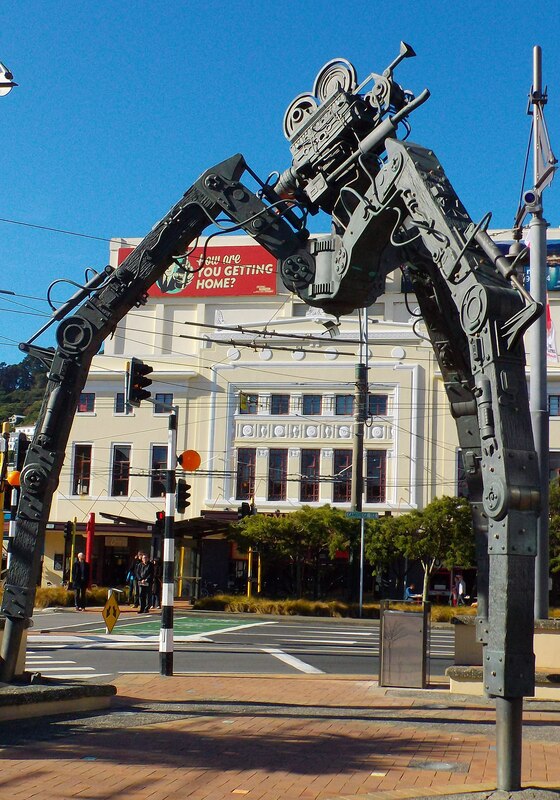 There are a few of them throughout Wellington and, let me tell you now, you MUST visit one when you’re there. Our high expectations were not only met, but surpassed. It genuinely was the best ice-cream – sorry, gelato – we’ve ever had in our lives! Seriously. Oh, my goodness. Amazing. So, in conclusion: if you’re going to Wellington, make sure you pack a coat. The wind is usually quite cold. If you’re driving down from Auckland, make stops along the way. Once you’re there, make sure you visit the harbour front, Mount Victoria and Te Papa, and don’t leave without trying a Kaffee Eis gelato. Of course, there are heaps of other things to do, but that was my weekend in Wellington. Chances are you’ve heard the words ‘crazy’ and ‘Kiwi’ in the same sentence. This is because New Zealanders are insane. No concern for personal safety, they throw themselves headlong into their obsessions, combining inherent ingenuity with mad optimism. 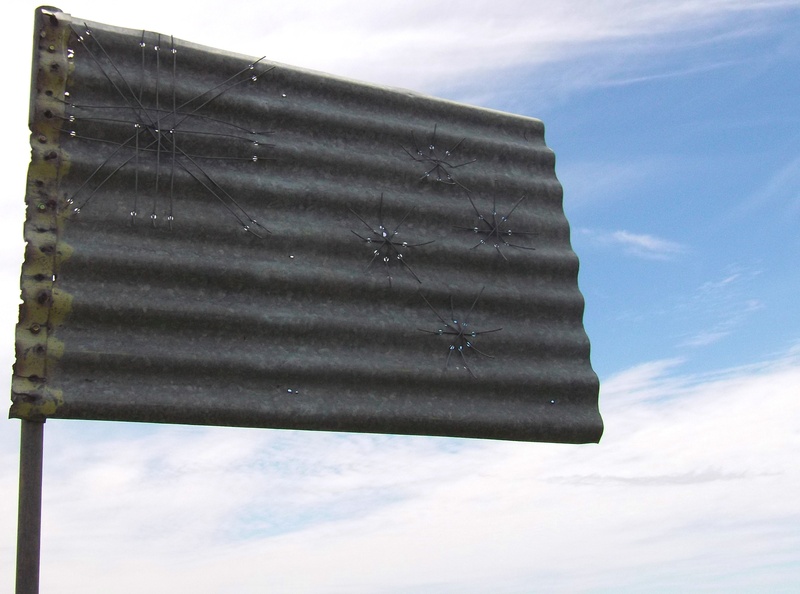 Kiwis can conquer the world with a piece of number 8 wire, or so they enjoy telling themselves. Of course this list was going to include Sir Edmund Hillary. Though he wasn’t quite the tank-killing badass Upham was, he shared Upham’s mad disregard for personal safety. Good thing too, or he’d have never conquered Everest. His attitude was ‘get to the top, or die doing it’. There he and Sherpa Tenzing were – sleep-deprived, affected by the altitude, scarily low on oxygen supplies – facing weather conditions that would have made any sane person turn back, and they carried on. And what did Hillary say when they’d returned victorious? The streets of Edinburgh were strange. Alien. I felt disconnected from the world as we walked, hardly aware of my mum holding my hand. Something was wrong. 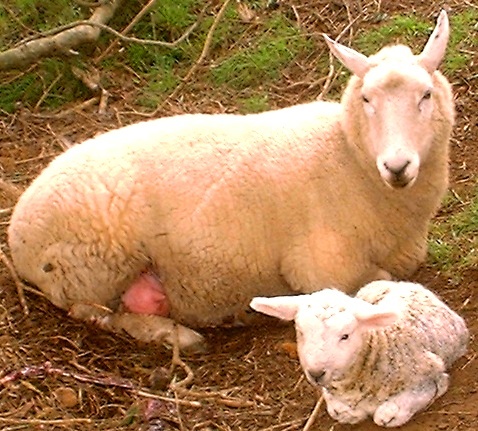 They hadn’t said anything, my mum and dad, but my stomach was attacking itself in warning. That, and I was hungry. My little sister was oblivious to this developing turmoil. She kept running ahead and shouting, “PACHY!” – much to my mum’s embarrassment. (She didn’t realise she was being racist. Her imaginary friend was a pachycephalosaurus.) She didn’t even know what a conference was. I only had a vague idea. It was something frightening. Eventually, sick of my whinging, Dad told Mum to take ‘the girls’ to get some food – he’d find the conference on his own. I was relieved we no longer had to hurry after him, but still confused. Why did Dad have to go to a conference? What was the conference for? Weren’t we supposed to be on holiday? It wasn’t until that evening that I’d learn our whole holiday was a sham. That we wouldn’t have come at all if it hadn’t been for the conference. The sense of betrayal the nine-year-old me felt at that realisation, however, was nothing compared to what was to come. We were in an Italian restaurant. All the tables had red and white checked tablecloths and candles in bottles that were obscured by many layers of hardened dribbles. My dad was angry with the food. He thought it was ‘pap’, but my mum thought it was fine. My sister was ‘feeding’ Pachy. Then my parents looked at each other and looked at me, and they told me the truth. The conference was for British teachers who wanted to teach in New Zealand. “No, Abby, that’s Tasmania,” Dad said. “But you were very close. Well done,” Mum added. “About twelve thousand miles,” Dad said. “No!” I cried. The idea of having everything I knew and loved torn away from me… my best friend… my dancing lessons… and to be replaced with New Zealand. New Zealand was a wasteland! “I’m not moving to New Zealand!” I shrieked. “You can’t make me!” And with that I ran into the toilets. I kept running until I was in a corner by a hand dryer and then I screamed. Conscious of the noise, I slammed my fist into the hand dryer to turn it on. 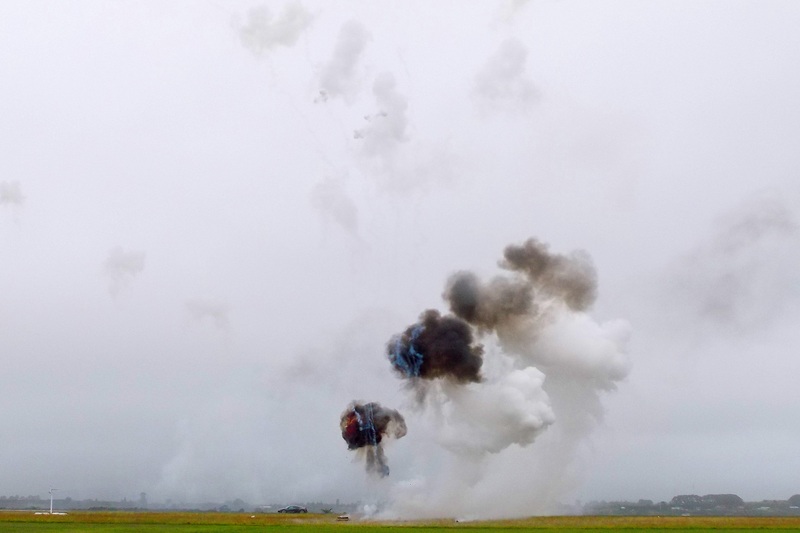 Accompanied by the roar of hot air, I sobbed and sobbed. Mum came in and put a hand on my shoulder. I flinched. “We are going to New Zealand,” she said. I couldn’t take it. I ran away again, this time out onto the dark Edinburgh street. At least I had the sense not to stray far from the illuminated restaurant window, tempted as I was to get myself lost. When I went back inside, it wasn’t because I’d forgiven my parents; it was because I was cold. Mum and Dad didn’t want Grandma to know that Dad was applying for jobs in New Zealand. They didn’t want to worry her. They’d only tell her if – when – he actually got a job. It was a pretty big secret for a nine-year-old to keep. Grandma lived just round the corner from us. Ours was a neighbourhood of Victorian terraces, quite depressing compared to what we’ve become used to in New Zealand, but I’ll always remember it fondly. Grandma was short and plump, and she always wore cardigans and stockings and called me ‘duck’. She died last year, but at least she’d been able to visit us in New Zealand twice. She’d never even been out of Britain before that, (well, except to Jersey,) and she hated anything foreign. Across the street from my gran, there lived a girl who always wanted me to come out and play with her. I did, even though I would have often preferred to have stayed at home on my own, reading or writing. One day, I was sitting in the alley behind my gran’s terrace when she found me. Her cheerfulness intruded upon my artistic misery. “We’re moving to New Zealand.” That stopped her dead. “Yeah. Me dad said it were twelve million miles away. Or summat like that,” I said. “No, you’re not,” I said. “Yes, I am!” she whined. “I’ll run away from home before I go!” My voice echoed around the alleyway. “But int y’ grandma’s just round the corner?” she said. I didn’t know. I didn’t think so. There probably wasn’t electricity either. After a while, my friend sighed. “I hate it here,” she said. “Mum and Dad keep saying so.” I shrugged. 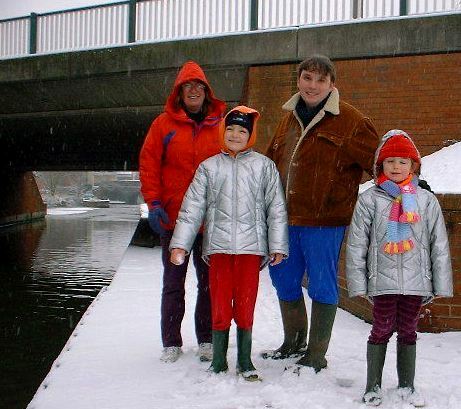 When we got bored of playing on the railway bridge, we went to sit against ‘our’ wall. 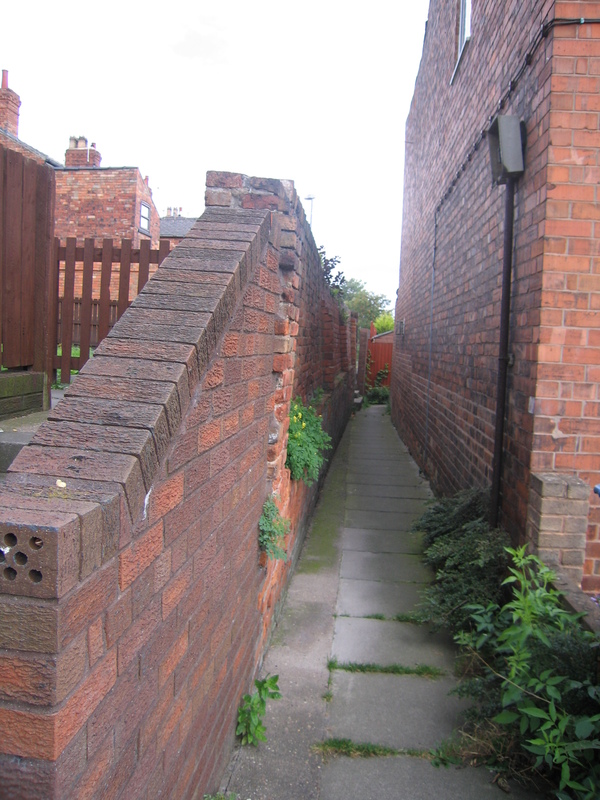 It was the wall of an alley that ran in front of a row of bungalows out the back of my house. In one of the bungalows, there lived an old lady called Betty. (She was a bit gaga so we called her Batty.) She often saw us and brought us sweets, which we ate even though they were years out of date. Now, this next part of the story is a bit of a guess. You see, at some point, Betty told my grandma that my mum and dad were planning on jetting off to New Zealand without telling her. This, understandably, made my grandma very upset, and there was a lot of explaining to do. What I think happened is that Betty overhead my friend and I talking and jumped to conclusions. So it was that my parents’ plan about not telling Gran that we were moving to New Zealand until my dad actually had a job was ruined. As it happened, we were at my gran’s house when Dad got the call on his clunky ’90s cell phone. My mum screamed and hugged him like an excited teenager and my gran burst into tears. I was scared stiff. It was happening. It was confirmed. We were moving to a place called Waiuku. Waiuku, my dad explained, was a Maori name. It meant ‘muddy waters’. The next few months went by in a blur. Dad’s job was to start at the beginning of the coming year, 2001, because school years in New Zealand start in February, not September. This presented a problem for my sister and I, because we were still halfway through our school year. 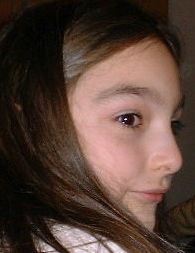 (I was in Year Five; Lucie was in Year Two.) In the end, Dad went to New Zealand six months ahead of us, leaving Mum to sell our house. Saying goodbye to Dad at Manchester Airport was horrible. It was the first time my family had been separated. It didn’t hit me that I should be sad until we were hugging him at the gate, and everyone else was crying. I suddenly realised that six months was a long time. I howled with the rest of them. Then the time came for all our stuff to be shipped off. The men from Britannia Movers International arrived. I liked their logo – the classical goddess Britannia with her Union Jack shield – but it took great restraint for me not scream at them, “Put that back!” My life was literally disappearing around me. I felt like I was fading away. Like Marty McFly at the end of Back to the Future. My last day of school, I sat on a side bench in Mr Lilley’s classroom and watched the rest of the class as though from under water. The headmistress, (ironically named Mrs Britain,) approached to offer me luck and words of comfort. Unfortunately, I can’t remember what those words were, only that they seemed significant and grownup at the time. Then the school day was over. I panicked. It had come too fast. Never again would I have a lesson at this school, or see any of these people. I had a few photographs with various groups. (A good delaying tactic.) Then everyone started drifting away. Only my best friend, Elizabeth, was left. I knew I’d miss her far more than she’d miss me. I just wanted to cling to her and never let go. I hugged her and hugged her, but all too soon my mum pulled me away. It was time to go. We lived in opposite directions from the school. We started walking down Bracken Lane in those respective directions. Then I looked back. She didn’t. I watched her back get smaller and smaller. She was wearing a light blue jacket. I know because the image was burned onto my mind, and I recalled it so often during my lonely times in New Zealand that now I’ll remember it until I die. When I realised that she wasn’t going to look back, I started to cry. Not just cry. I had a full-on tantrum whilst walking home from school. My mum wanted me to be quiet – it was shameful – but I didn’t care. I had so much grief inside me that I just had to get out. I think that was the last tantrum of my childhood. The horrible goodbyes weren’t over. Next we had to say goodbye to Grandma, and we didn’t know if she’d be able to visit us, as she was terrified of flying. 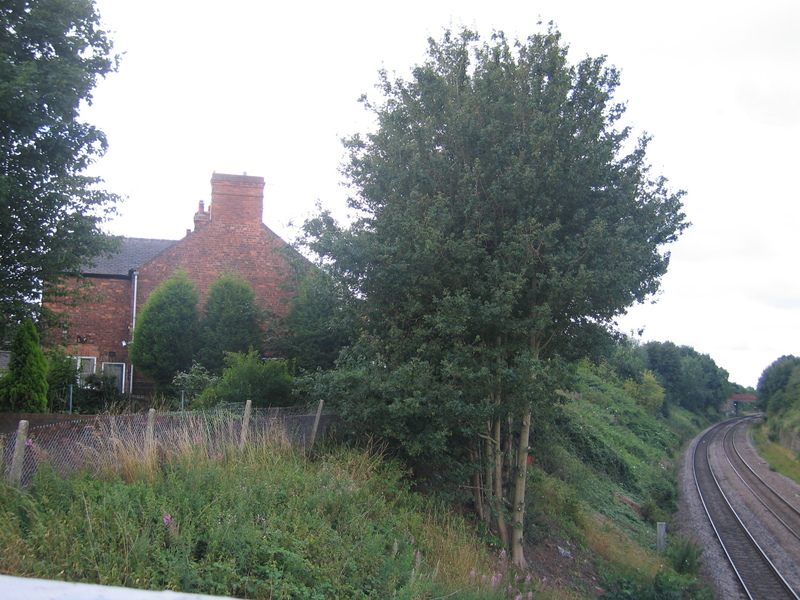 Then Uncle Damon drove us to Nana’s house in Ellesmere Port, Cheshire, and we had to say goodbye to Uncle Damon. My nana, who now lives with us in New Zealand, had prepared something very special for us. 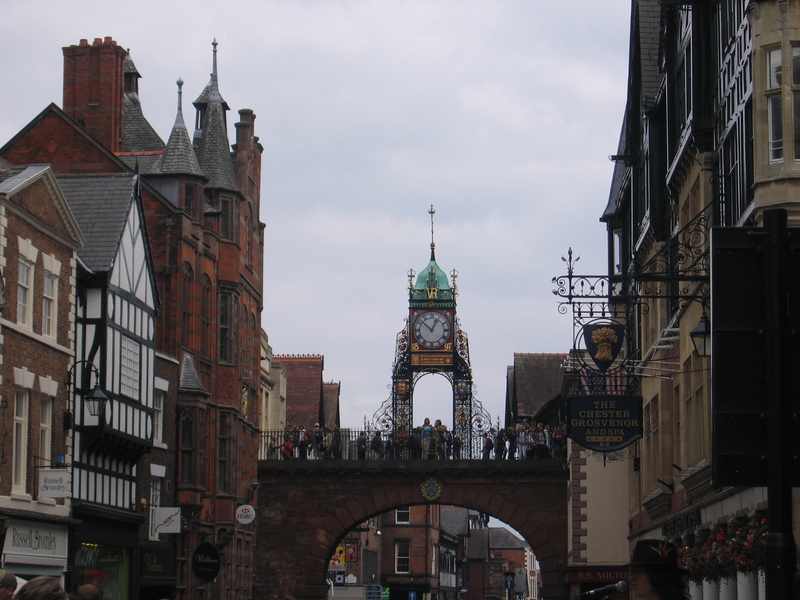 It was our last night in England – the last night of the poms, as my dad later joked – and Nana had hired a limousine to take us on a tour round Chester, and then to our favourite restaurant. It was wonderful. 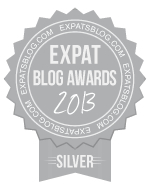 I felt like I was famous in my blue, fringed, ’20s-style dress, drinking from a champagne flute on velvet cushions. The windows were tinted, so no one could see who was in the limo, and people on the street started taking photographs of us. My nana wound her window down a bit so she could do a regal wave. What a way to spend our last night, in true Britannia style! My first impression? I was kind of zonked out from the flight, so I didn’t notice much. 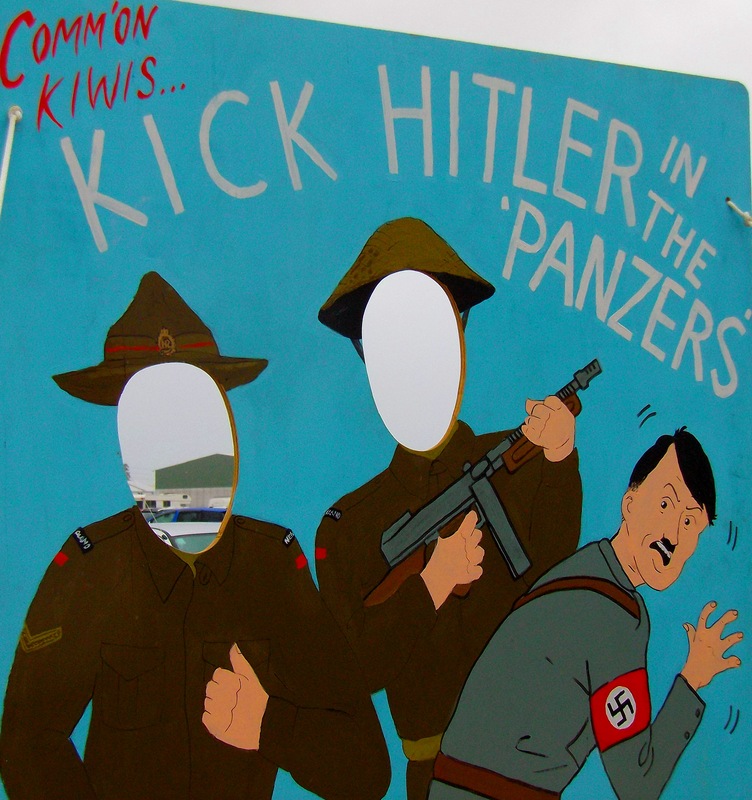 New Zealand seemed pretty much the same as Britain, rather boringly. At least it wasn’t the backward wasteland I’d feared. The light was different, though. New Zealand was bathed in warm light. I can still see it, what I saw from the back of Dad’s car as he drove us from Auckland Airport to our new home. It was a strange light, the light of an alien world, but it was comforting nonetheless. That was twelve years ago. Nearly thirteen. Of course, I’m glad now that we moved to New Zealand. I wouldn’t have it any other way. 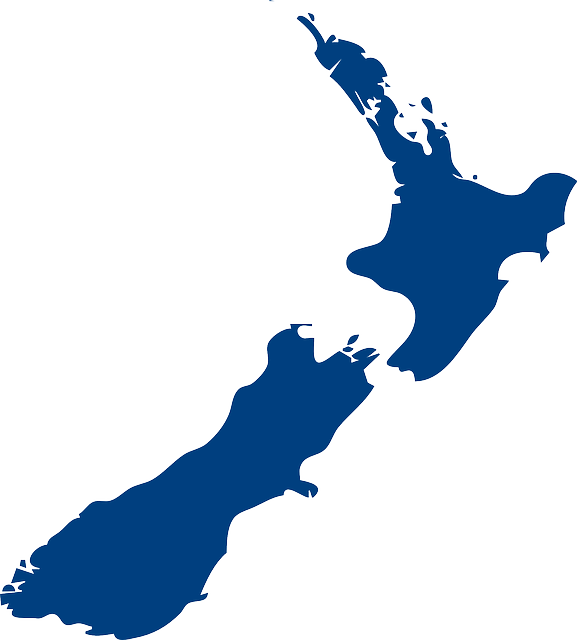 New Zealand is a far better country to grow up in than England. 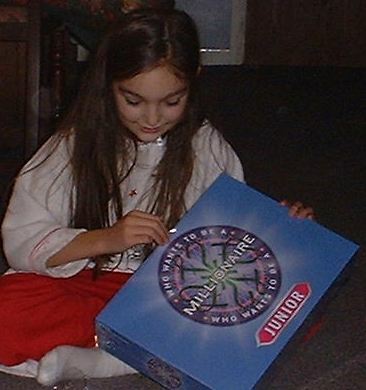 At the time, though, I thought I’d never forgive my parents. 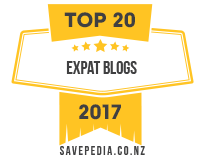 The move undoubtedly had a massive psychological impact – you can read about that in The Existential Crisis of the Immigrant Child – and, although I still don’t consider myself a true Kiwi, I love New Zealand and want to grow old here. 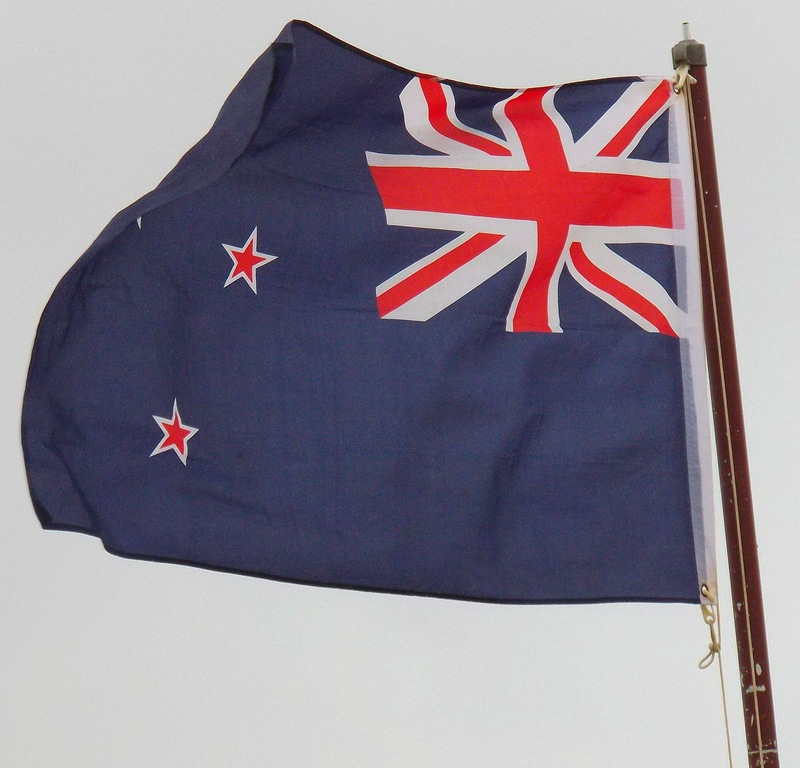 For the next part of the story, in which I recount my first day at my new school in New Zealand and my brief return to England years later, see Kiwis, Kiwis and Kiwis: The People of New Zealand.